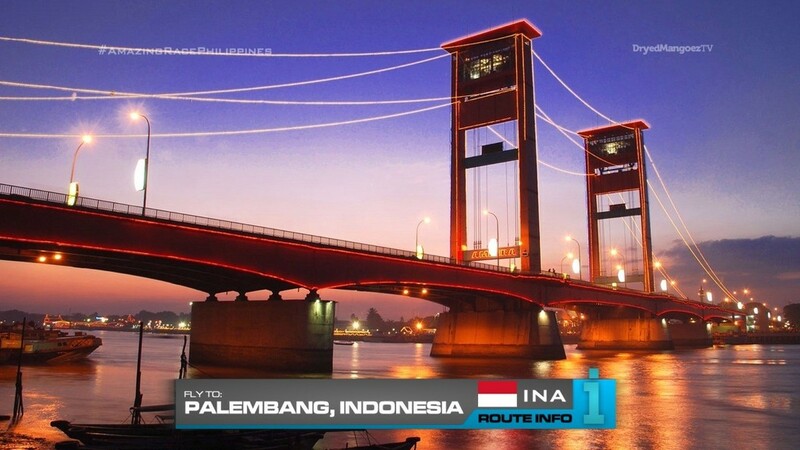 It’s the second Leg of the Race and teams must now fly to Palembang, Indonesia! Teams need to bus it back to Hanoi and find how to get to Palembang. In reality, teams will be on one of two flights: The first via Bangkok and Jakarta will arrive at 9:05pm. The second via Singapore and Jakarta will arrive at 10:40pm. 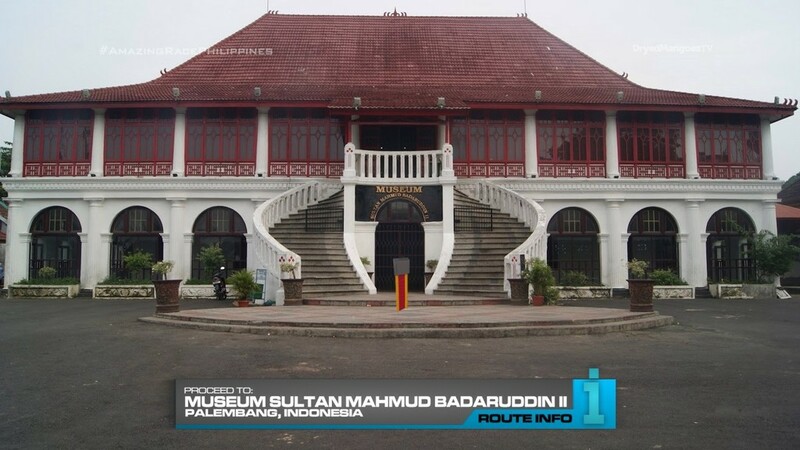 Once in Palembang, teams must head to Museum Sultan Mahmud Badaruddin II. But HOURS OF OPERATION! It is closed for the night and teams must wait until 8am. 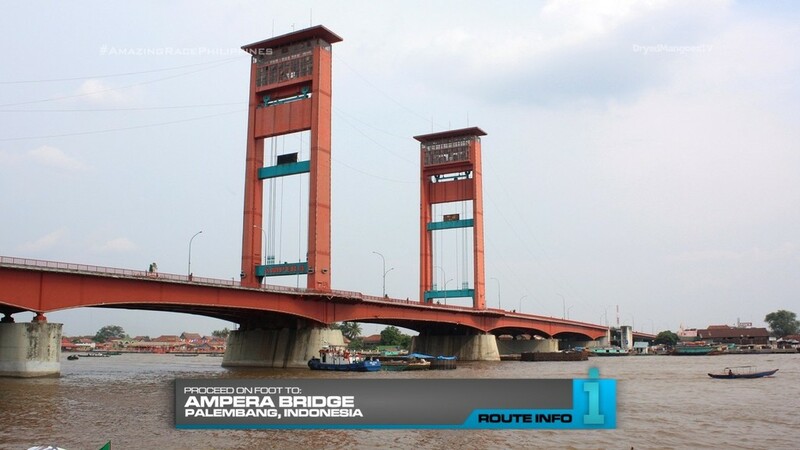 At 8am, teams will get the next clue telling them to head to Ampera Bridge on foot. 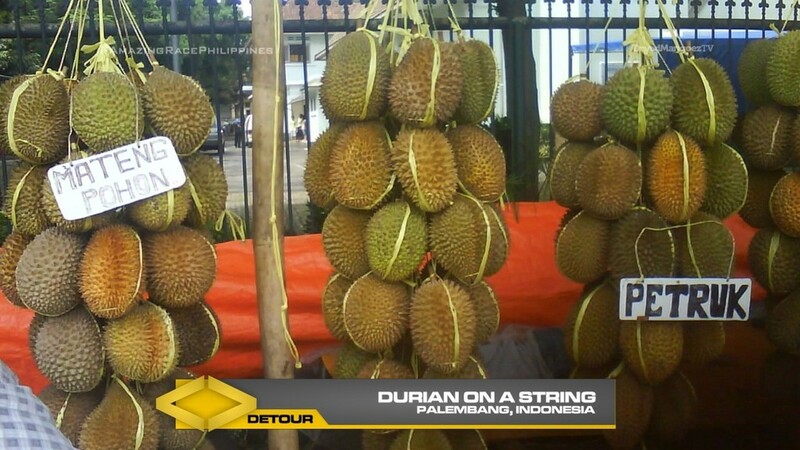 In the area around the bridge, teams will find the clue which will reveal the Detour: Pempek on the Water or Durian on a String. 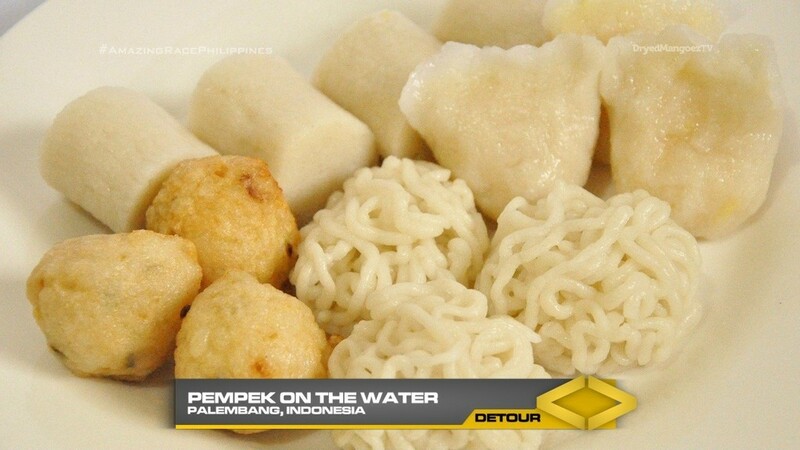 In Pempek on the Water, teams will learn how to make a Palembang specialty: pempek. At the floating restaurants near the bridge, teams will need to learn how to make enough pempek to fill a large bag ready for delivery. In Durian on a String, teams must unload 30 durians from a truck and correctly string them together to be hung for sale. Here, teams will need to help build a traditional Panjat Pinang pole, complete with prizes for the festival. Once it is able to stand, they will be given the next clue. That clue directs teams to Tanggo Buntung where they will find the Road Block: Who’s got a good eye? 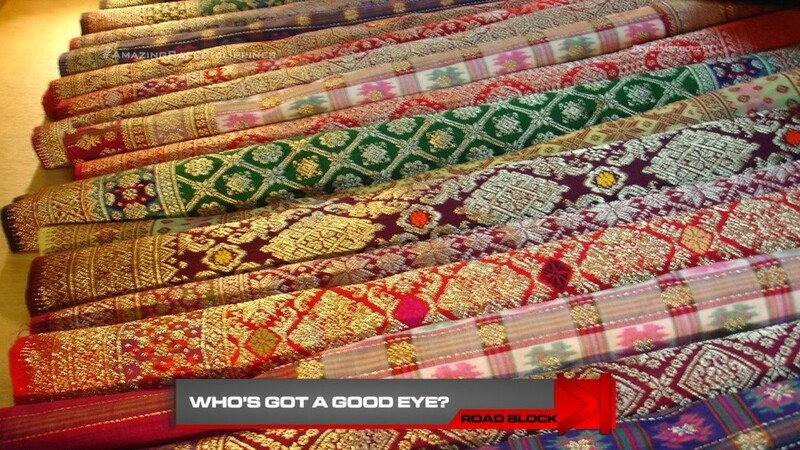 For this Road Block, teams will be given an order slip with a number corresponding to one of the looms making a songket. Teams will need to figure out which pattern the loom is creating and find already prepared fabric which they will need to deliver to a waiting bride at the provided address. 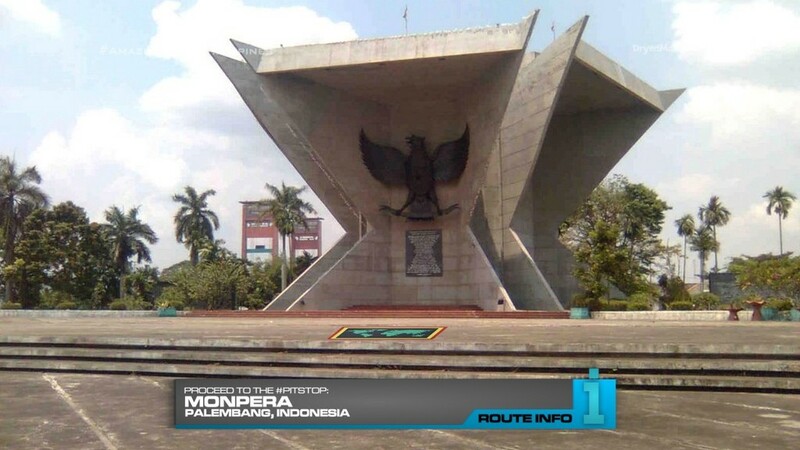 After the Road Block, teams can now make their way to Monpera… the Pit Stop for this Leg of the Race. 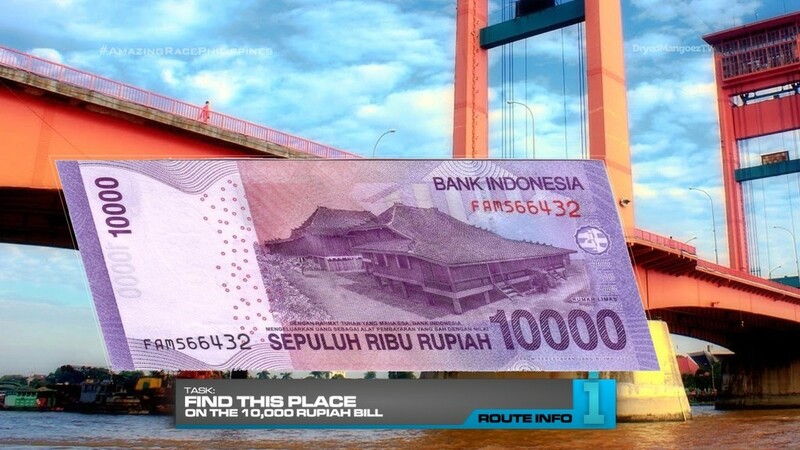 I think this would be best paired with another Leg in a bigger Indonesian city. Have teams travel over land here. 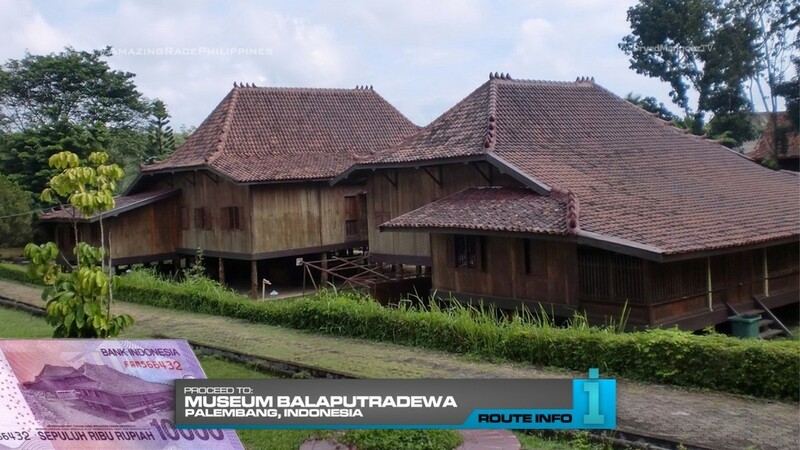 Still, there seems to be plenty to do in Palembang. The pempek is a good local task that should give teams opportunity to interact with locals. 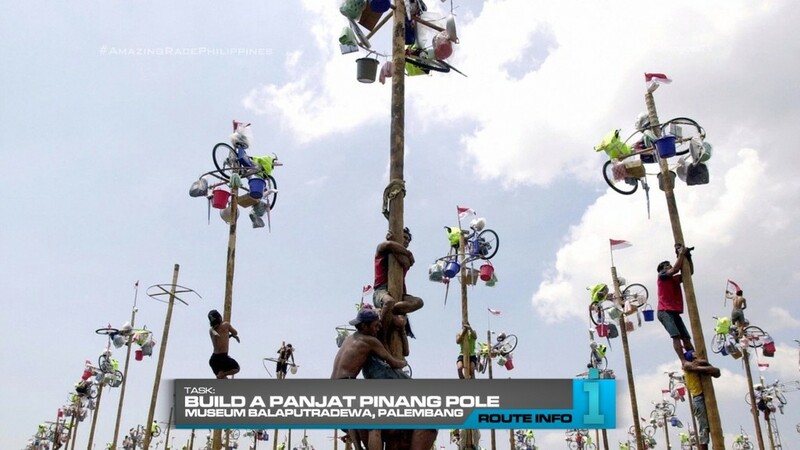 The panjat pinang pole should also be a good cultural task. But also, any tasks related to its hosting of the SEA Games and future Asian Games may be good too. The durian, the money and the fabric are typical TAR tasks. But should feel fresh in a new location.